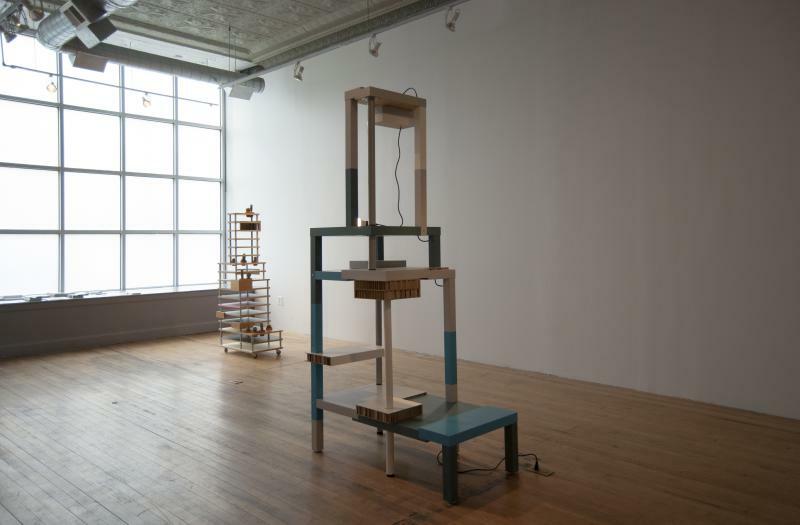 CHICAGO, IL, 6/11/14 – THE MISSION | Chicago is pleased to present A Study in Lost Opportunity, an exhibition of works by Chicago-based artist Jeff Carter. 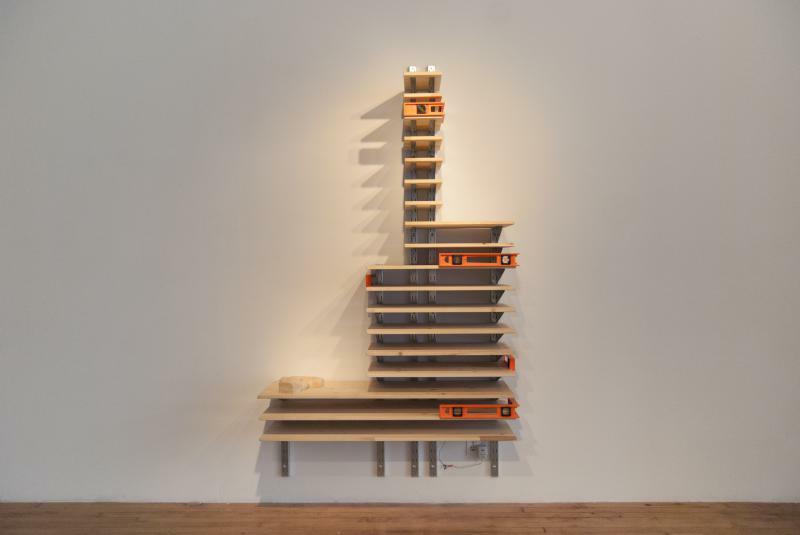 In his first solo show at THE MISSION, Carter presents a series of constructions based on a failed entry from the historic Tribune Tower competition, an international design competition hosted in 1922 by the Chicago Tribune for its new headquarters. The exhibition features four sculptures from Carter’s Tribune Tower project, including two new renderings of the architectural design submitted by Walter Gropius. An opening reception will be held on Friday, June 27 from 6 to 8pm. The show continues through Saturday, August 16, 2014. 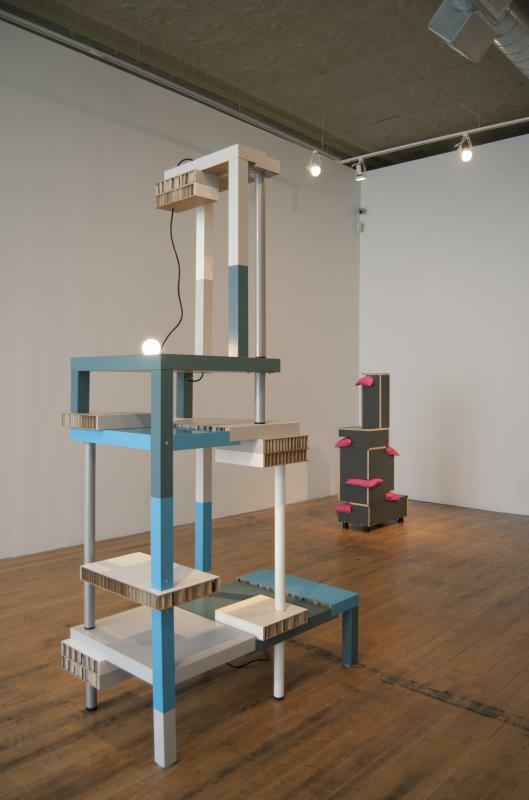 Constructed almost entirely of modified IKEA products, Carter’s structures incorporate items such as desks, bookshelves, and flooring, and often involve electronic or kinetic elements, audio/video components, and found objects. 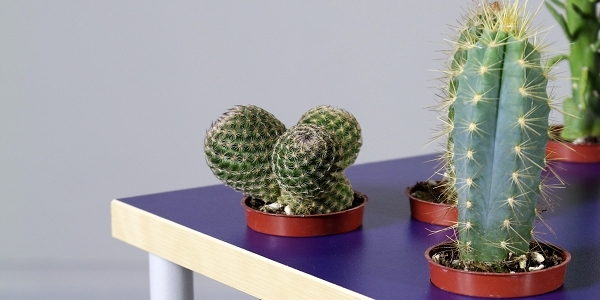 He employs a technique popularly referred to as “IKEA hacking” to transform these banal, commonplace products into sculptural forms layered with historical reference, visual invention, humor, and irony. The four constructions on view in A Study in Lost Opportunity are based on one of the best known of more than 250 rejected proposals for the Tribune Tower – a Bauhaus design submitted by Walter Gropius in collaboration with Adolph Meyer. Carter used the only known perspective drawing of the Gropius/Meyer tower to derive the proportions and erect these three-dimensional models. 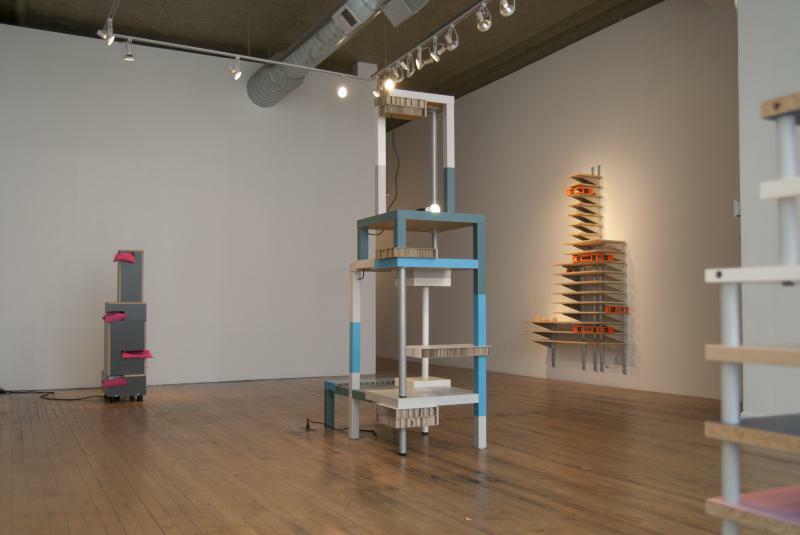 As critical reinterpretations of Modernist forms, the sculptures are part of the artist’s search to re-examine both the rarified status of the Modern object and the sociopolitical underpinnings of Modern philosophy. Jeff Carter earned his BFA at the University of Colorado, Boulder (1992) and his MFA at The School of the Art Institute of Chicago (1998), where he received a Trustee Scholarship. He is a Professor in the Department of Art, Media and Design at DePaul University. Carter’s work has been exhibited in Chicago at the Museum of Contemporary Art, the Renaissance Society, and the Chicago Cultural Center. His work has been exhibited internationally, including exhibitions in the Lewis Glucksman Gallery (Ireland), the Kunsthalle Hamburg (Germany), the Kaohsiung Museum of Fine Arts (Taiwan), and the Hayward Gallery (London). Carter lives and works in Chicago. A Study in Lost Opportunity opens at THE MISSION | Chicago on Friday, June 27 and continues through Saturday, August 16, 2014. For more information, please contact Rebecca Eaton at rebecca@themissionprojects.com or 312-243-1200.